Is the molecular filter based on reverse osmosis with three stages of pre-treatment and final two-stage filtration with coconut charcoal and mineralization. - Pre-filtration in molecular systems provide proven classic filter cartridge placed in a flask with a double sealing, so that the filter provides the best protection against unwanted leaks. - The filters are produced in Poland and passed the strict quality control at each stage of production; products are certified. 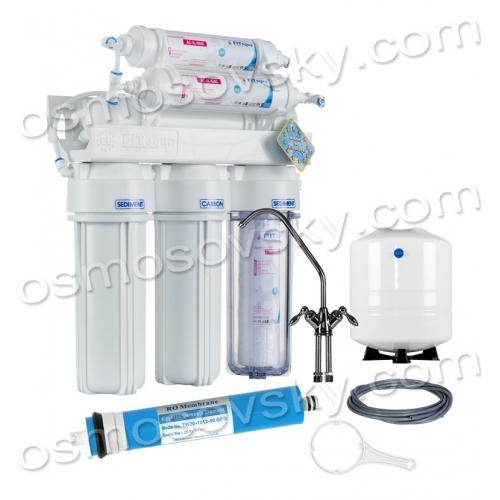 - To ensure healthy water ready to use for you and your family. -Place Installation kitchen under the sink. 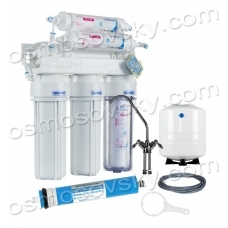 Buy a reverse osmosis filter FITaqua RO-6, you can place your order on our website or contact us in any convenient way for you.